This is a regular & popular dosa which is a favourite in every house hold in south india & also the easiest-to-make. There are various different kinds of ingredients everyone uses and hence the taste varies in Resturants and when made at homes. But this is the regular breakfast in southindia. I want to share this simple breakfast. This dosa is served with chutney and sambar. I wish I could make a think and crispy dosa like this... It's so good! Looks crispy and yummy Mala.. Your dosa looks very crunchy and crisp. looks perfect..should add poha..they give a soft finish to the dosas..
Dosa looks perfect. Alos liked the rava dosa recipe. Tempting crispy dosa :) I could eat these just plain too! nice snap. 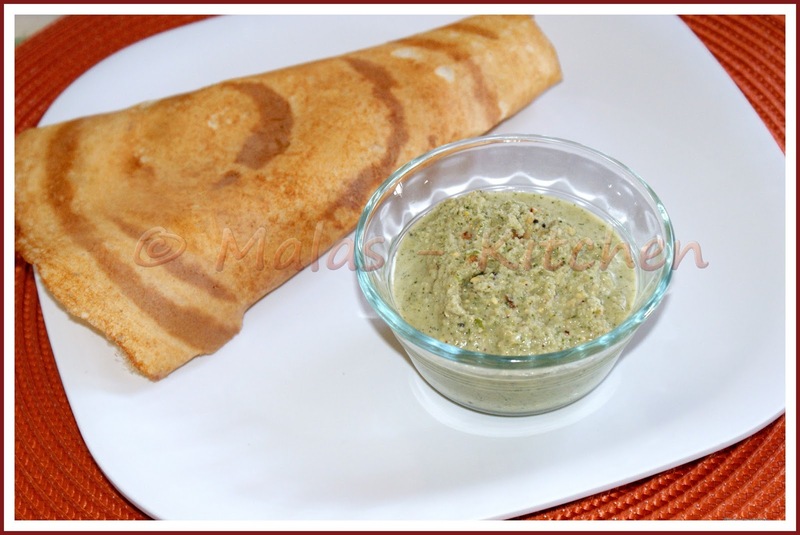 Perfect crisp dosa with equally tempting color. Wow that dosa looks really crisp and delicous. Thanks for dropping by..You got a nice space here..Love the header. Paper dosa is my all time fav..It looks super crisp and thin. looks crispy Mala......i'm always ready for a dosa!!!!! @ all thank you so much.... glad you liked dosa. Renu : Thanks, it all depends on your batter thickness, if your batter is consistently thick enough, you get good round shape. Also, it matters with your stove, tava should be on low flame, so that when you pour batter on tava, it should not turn into crumbles. Also , Try putting oil first and batter on it or try without putting oil before pouring batter. I try both the ways.